Creating a Blog and then writing few posts under it is not difficult at all. The Difficult thing is to maintain the Blogs like writing frequently. At some time, you feels to start Guest Posting in your Blog as it is very advantageous for every Blog. There is the most common question on Forums or Discussions groups that “How to Attract Guest Authors for your Blog”. Its always been hard to get Guest Authors for your Blog. I implemented few tips mentioned below on my Blog and I was then able to get Guest Authors for my Blog. 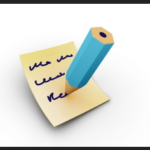 Read and Implement the Points below to attract Guest Authors for your Blog. You can only Attract Guest Authors for your Blog if you have good Traffic and Subscribers. PR & Alexa Rank doesn’t matter more than Blog Traffic. If you have PR0 & getting around 1000’s of visits Daily you can get more traffic than the Blog who has PR3 and only getting 100 visits daily. So its always good if you have huge traffic, its the best way to Attract Guest Authors for your Blog. If your Blog doesnt have a Author Box, then its time to Add Author Box below every post. Adding the Author Box is better than a small byline, as author box includes author Gravatar. You can customize the Author Box to make it look Attractive. If you are on WordPress Blog and not comfortable with the codes, then add a plugin which can give your Blog a Attractive Author Box. It is one of the best way to get Guest Authors for your Blog. See Also : How to optimize Your Posts? Contest is one of the Effective way to Attract Guest Authors. If the Prizes are relevant to Bloggers, you can expect a good number of Guest Authors for your Blog. The most common contest that can be seen on Blog is “Write more Guest Posts and Win Ad Space for 30 Days”. These type of Contest attracts a large number of Guest Authors. Try to Run the contest for many days like 30 days, so that more and more Guest Authors can get themselves in this Contest. You can also plan any Giveaways. Try to share the contest in the Social Media to make it reach to huge people. This will attract Guest Authors for your Blog. Its always advised to create a separate Guest Author Page and display all the Guest Authors of your Blog with there gravatar and byline. This will gain a Backlink and it will make them feel good to be listed in a Separate Guest Author Page of Blog. This will get you more Guest Author Page of your Blog. Guest Authors are very hard to attract, so don’t make it difficult for them to Submit the Post. 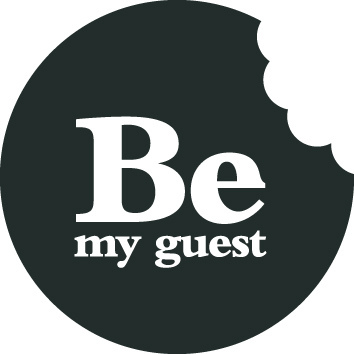 Write proper Guest Posting Guidelines and Create a Registration Page so that Guest Author can easily register and start submitting the Guest Post soon. If you make the Submission process difficult, they may refuse to Guest Post on your Blog. So its always advised to make the Submission Process easier, it will attract Guest Authors for your Blog. Harry works for Blogging Junction, a blog where you can find blogging & marketing tips, latest discount coupon codes of various products like pretty link pro coupon code and shopperpress coupon code. « Title Tag and SEO : Whether you Limit Title Tag to 70 Characters ?